Taking it to new heights and delivering an amazing performance to say the least - D'Banj is set to release his follow up to the quarter of a million selling top 10 smash ‘Oliver Twist’. With that comes ‘Bother You’, D'Banj's new forthcoming single ‘Bother You’, inspired by the film Half of a Yellow Sun will be released on 7th April by via Universal imprint Mi7 Records and D’Banj’s label DKM. 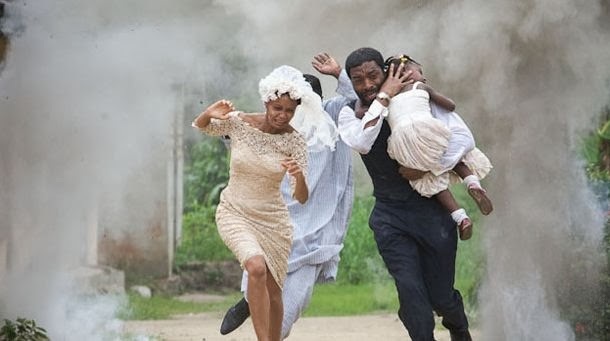 The video features footage from the critically acclaimed film adaptation of starring Oscar nominee - Chiwetel Ejiofor and BAFTA award winner Thandie Newton (which is soon to be released in the UK). Producers of the film Yewande Sadiku/Andrea Calderwood (Last King of Scotland) commented "Half of a Yellow Sun is a film which we want to move everyone who sees it, and to touch people no matter where they are in the world. We were excited when D'Banj first sent us his new song ‘Bother You’, telling us he had been inspired to write it after seeing Half of a Yellow Sun. It's been a few weeks since we first listened to the song and we still find ourselves humming to it several times throughout the day."